Here's a YouTube video of an event pairing cheeses with beer and wine, hosted by Brooklyn Brewing's Garrett Oliver and an unnamed wine representative. Interspersed are snippets with beer advocates such as Julie Johnson Bradford (of All About Beer) and beer bard Michael Jackson. The video itself is a bit superficial - the cheeses are not mentioned, nor the wines or beers. But as always, Garrett Oliver is eloquent. And, the video is yet another datum for the burgeoning "beer is the new wine" argument. Watch for the show of hands at the end. My friend Ron Fischer alerted me to this. 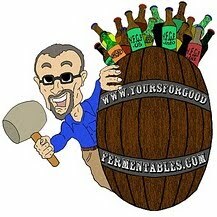 He is the cask cellarmaster and representative for beer importer B. United, International. Three of the pours were beers which his company imports, including J.W. Lees Harvest Ale and Aecht Schlenkerla Rauch Weizen. 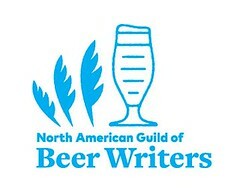 Here's a similar event which was held in Washington, D.C. And here's more on beer and cheese. Wow! its very nice article about sommelier.I agree and appreciates of your you tube.which provided live informative about sommelier.